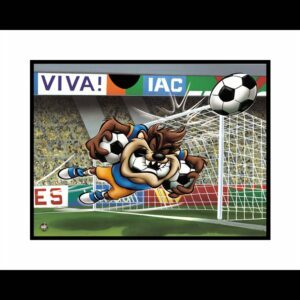 Taz Soccer – A Fine Art Giclee featuring Looney Tunes character the Tazmanian Devil. 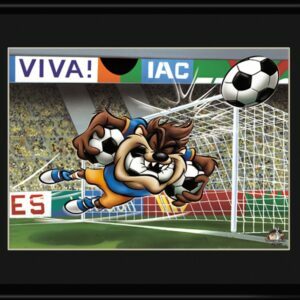 Perfect for any soccer fanatic’s room. Limited Edition. Comes matted and framed with Certificate of Authenticity. Size 16×20. Edition Size 500.